[0:05] <scornflakes> does anyone have a battery backup for theirs? [0:10] <evil_dan2wik> scornflakes, a lot of people do. [0:17] <Tinkerton> Encrypt: like a tiny tiny UPS? [0:19] <Encrypt> To shutdown it automatically whenever the mains power stops or after the backup battery is almost "out of juice"
[0:20] <Tinkerton> Have you considered adding something to 'stabilise' the power supply? [0:22] <Encrypt> I designed the circuit so that it consumes almost *nothing* when it's not "processing"
[0:22] <Tinkerton> nice. how did you do that? [0:23] <Tinkerton> Encrypt: what size battery are you putting in? Would it be easy enough to change it? [0:24] <Tinkerton> hm. not that long then. [0:24] <Encrypt> As I said, I'm not planning to make it a "power supply"
[0:24] <Tinkerton> are you crowd-funding or just doing it alone atm? 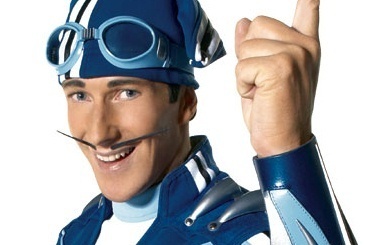 [0:27] <Encrypt> And a "béret"
[0:28] <Tinkerton> with your wierd little sportacus style moustaches. [0:57] <bnmorgan> how do i kill them? [1:02] <Tinkerton> i recommend slitting their throats while they sleep. [1:04] <bnmorgan> yup. right click, end task.....nada. [1:06] <Tinkerton> bnmorgan: go into processes tab, then end the process. [1:10] <bnmorgan> sonofabiscuit. managed to go 3 weeks without having to reboot and now have to over this dumb crap. [1:22] <bnmorgan> yup. did that. [1:22] <bnmorgan> formatting it now. [1:43] <bnmorgan> ShorTie yeah, probably, but with it acting funky i rather not take chances. [1:52] <ShorTie> what os do you plan on using ?? [1:55] <plum> i'll probably need to do that from linux then? [1:56] <plum> noobs installer is supposed to just work out of box though right? 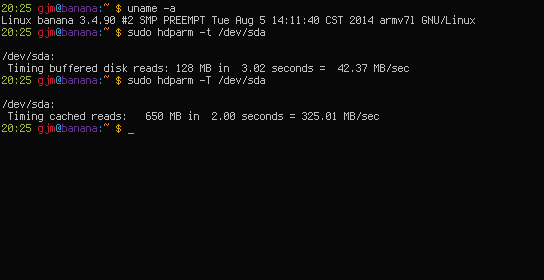 [1:57] <doebi> i get random EXT4-fs errors on stdout, is this due to a power supply problem or is my sd card loose? [1:58] <ShorTie> hard to tell doebi, have you measured the voltage between tp1 and tp2 ?? [2:00] <ShorTie> what is your power adapter rated at also ?? [2:04] <ShorTie> sounds like a magic smoke emitter to me, lol. [2:05] <doebi> now i understand why my last setup failed so hard. [2:14] <plum> would that be easier facilitated with another os? [2:17] <plum> is it good for hosting things like shared hard drives? [2:22] <plum> if i run it as a media server with xmbc, can i still access it with ssh and do more advanced linux stuff with it? [2:25] <sraue> who is saying this? [2:26] <sraue> whats your problem with openelec? [2:26] <sraue> you want a desktop distro on a low power embedded device? [2:48] <plum> so which os is more recommended for this? openelec or xbmc? [3:00] <plum> do things work fast and efficiently on openelec/xbmc on a pi? [3:01] <ShorTie> server or center ?? [3:01] <evil_dan2wik> plum, the model B and B+ have the same processor. [3:04] <evil_dan2wik> it would be better if the broadcom chip had it's own ethernet in it. [3:04] <plum> mm, it won't work well for that? [3:05] <evil_dan2wik> And transcoding would be a no-no. [3:07] <plum> might be a problem with that transfer speed if i do the hard drive route though, is that the general consensus? [3:07] <evil_dan2wik> I wonder if broadcom would be willing to design a chip specifically for the Pi. [3:08] <doebi> do you attach the pi directly to the tv using hdmi? [3:09] <evil_dan2wik> plum, I can get up to 40MB/s from my hard drive but the speed drops down loads when I use the network. [3:10] <plum> so if i'm playing something, don't add anything to the storage drive at the same time via network, yes? [3:10] <plum> so for a NAS with media like that, should i go for openelec? [3:12] <evil_dan2wik> plum, I think it would be possible to stream 2 or 3 things in 720p from the Pi to another device. [3:12] <evil_dan2wik> stream from another device to pi to tv? [3:13] <evil_dan2wik> or stream from hard drive? [3:13] <evil_dan2wik> Some video formats bog it down too much to watch. [3:14] <plum> might just be better as a headless server then, which would host a couple hard drives on the network as NAS? [3:14] <evil_dan2wik> It can be used for that but it is a little slow. [3:15] <plum> so it seems like raspbian might just be fine for that after all, no? [3:16] <plum> openelec is still linux though, no? [3:16] <evil_dan2wik> oicu812, the format is what kills it though. [3:17] <plum> what package manager does openelec use, out of curiosity? [3:18] <sraue> "Open Embedded Linux Entertainment Center (OpenELEC) is a small Linux distribution built from scratch as a platform to turn your computer into an XBMC media center. " two times "linux"
[3:18] <evil_dan2wik> I thought it was linux too. [3:20] <bnmorgan> i didn't know you could still buy scratch on the open market. [3:21] <oicu812> no one shares in my excitement for my new pi case..
[3:25] <evil_dan2wik> I am using win32diskimager to write raspbian right now. [3:25] <evil_dan2wik> Did you erase the card first? [3:25] <sraue> plum, what you have dowloaded? the dikimage? you have extracted the file? 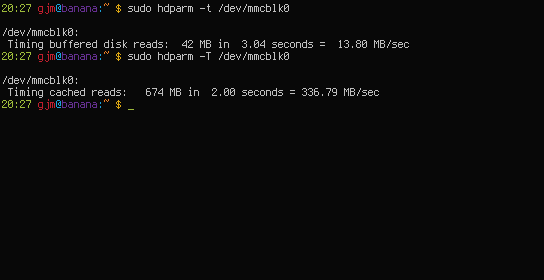 [3:26] <evil_dan2wik> plum, does the SD card have a valid fat32 partition as the first partition? [3:27] <evil_dan2wik> plum, in windows, does the fat32 partition have files in it? [3:31] <sraue> its connected to a TV? your powersupply is good enough? [4:09] <oicu812> no one laughs at my pi now! [4:12] <oicu812> wow 4 pi's! gluttony! [4:19] <oicu812> does the extra memory make the interface quicker? [4:25] <niston> what distros are there for it ? [4:28] <pablq> any suggestions on a good place to buy a *small inexpensive hdmi friendly moniter? [4:29] <plugwash> though it depends a bit on how exactly you define "small" and how exactly you define "inexpensive"
[4:32] <pablq> small is between 5" and 10"
[4:33] <abnormal> well gee whiz... what do you want for next to nothing??? go to yard sales..
[5:20] <abnormal> how di d you do that? [5:20] <niston> u dont use mirc do you? [5:20] <niston> dunno for xchat. google maybe? [5:23] <niston> hmm any Mac OSX users here? [5:25] <niston> I'd like for someone to see if my player works on Max OSX. which it should, but I never validated. [5:34] <[Saint]> Well...it /is/ a steaming crap heap. [5:34] <abnormal> well like most of them tell me, google it til you find what you are looking for or go to the mac forums. [5:36] <NedScott> I'm a mac user, what's up? [5:36] <niston> NedScott: happen to have mono installed? [5:39] <niston> I wrote something in C# on Windows, it works fine on the Raspberry too. But dunno about Mac because I ain't got no Apples here. [5:39] <NedScott> ah, so I just download this and I can see if it runs? [6:11] <niston> that just needs mono. [6:14] <niston> then run with "mono sndchk.exe <URL to shoutcast stream>"
[6:15] <niston> stream URL can be icecast too, btw. [10:29] <Da|Mummy> my sandisk 64gb usb3 drive wont load on openelec on rpi, is there something simple im missing here? [10:54] <Da|Mummy> wouldnt it just work as a usb2 drive? [11:51] <niston> you trying to boot via USB? [12:35] <Raazeer> does anyone have a site with quick-and-dirty projects to do with a raspberry pi? [12:36] <Raazeer> something you can stick together with a pi, some jump wires and a breadboard? [12:37] <Raazeer> I need some hands-on stuff to do with some youths for an orientation class. [12:38] <Raazeer> MY123, found the site. [13:15] <shiftplusone> Raazeer, also check the raspberry pi website resources. [13:16] <Raazeer> shiftplusone, you mean raspberrypi.org? [13:21] <evil_dan2wik> "The system is going down for system halt NOW!MA0)"
[13:23] <evil_dan2wik> MY123, what wifi receiver? [13:26] <MY123> I use a USB hub, through. [13:26] <evil_dan2wik> Is the hub powered? [13:27] <evil_dan2wik> MY123, you need a powered hub for most wireless things. [13:28] <MY123> niston: 50 meters away of the modem? [13:28] <evil_dan2wik> otherwise it starts to melt. [13:28] <evil_dan2wik> MY123, 50 meters...? [13:30] <niston> seriously though, check with a powered hub. some dongles eat quite a lot of power. [13:30] <evil_dan2wik> MY123, my house has ethernet from the hub box to every port in the house. [13:31] <evil_dan2wik> MY123, but, seriously, the powered hub is required for that chipset. [13:31] <evil_dan2wik> MY123, yeah? so? [13:31] <niston> My123: are there any other WiFi networks operating nearby ? [13:32] <niston> and all of them on 2.4GHz? [13:35] <niston> switched to 5GHz, problem solved. [13:38] <gordonDrogon> wireless is great, but you really need to know what you're doing and buy decent kit if you want anything more than "meh" out of it. [13:40] <justaguy> when there isn't enough range..
[13:41] <niston> MY123: does performance increase as you move closer towards the base station? [13:55] <niston> on a side thought, reinforced concrete is bad for wifi signals..
[13:56] <niston> range may decrease to <30 meters under such adverse conditions. [14:00] <evil_dan2wik> how do I stop it. [14:00] <gordonDrogon> you ae either drawing too much current via USB/GPIO or your PSU is lying to you. [14:01] <niston> what kinda power supply is this? [14:01] <gordonDrogon> evil_dan2wik, sure - it *says* 1.5A, but can it really deliver? [14:01] <gordonDrogon> evil_dan2wik, oops, mis-read that. [14:02] <niston> evil_dan2wik: is it a Meanwell supply? [14:02] <gordonDrogon> Sounds like it's struggling to maintain voltage. Got a multimeter? [14:02] <evil_dan2wik> The power supply is a large switching 5v, 5A power supply. [14:02] <evil_dan2wik> not here, no. [14:02] <gordonDrogon> the sense chip in the B+ is supposedly a highly accurate sensing chip - it's set to trip at 4.63v. [14:02] <evil_dan2wik> the other 2 Bs have kernel paniced. [14:03] <evil_dan2wik> well, all the Pis just turned off. [14:03] <gordonDrogon> and the PSU? how hot is it.. any smoke yet? [14:04] <evil_dan2wik> warm, burning smell and small wisps of smoke though. [14:05] <evil_dan2wik> if only I listened to the B+ more. [14:08] <evil_dan2wik> but now, they are all being powered by an apple charger. [14:08] <evil_dan2wik> and they seem to be working fine. [14:09] <evil_dan2wik> although, this is an apple charger. [14:09] <gordonDrogon> A B+ can power 2 B's. [14:10] <gordonDrogon> you need a good & proper 2A PSU for it though. [14:11] <evil_dan2wik> gordonDrogon, would it be possible for a B+ to power the other 2 Bs on the 3.3v level? [14:12] <gordonDrogon> evil_dan2wik, no. Pi's need 5v for the memory, ethernet and hdmi. [14:13] <evil_dan2wik> gordonDrogon, I mean, de-solder the 3.3v regulator on the other Bs and then ground them to the B+ and connect all the power lines to them all. [14:14] <gordonDrogon> evil_dan2wik, not sure there's enough 3.3v current to go round. Don't forget the 1.8v supply too. [14:14] <evil_dan2wik> there is a 1.8v supply? [14:14] <gordonDrogon> on a B+ the 3.3 and 1.8 is derived via an SMPS unit off the incoming 5v supply. [14:14] <gordonDrogon> on a A/B it's linear regulators. [14:15] <gordonDrogon> some stuff inside the SoC I guess. not sure exactly what. Also the GPIO can be strapped to run at 1.8v if needed. [14:15] <niston> 1.8v is the new 3.3v! [14:15] <gordonDrogon> you can do that on the compute module not the Pi's though as stuff on the Pi's needs the gpio running at 3.3v. [14:16] <evil_dan2wik> where does the 1.8v regulator draw from? [14:16] <gordonDrogon> no, the 5v supply. [14:17] <evil_dan2wik> and leave the USB power supply connected. [14:19] <gordonDrogon> personally, if you needed a more efficient setup, I'd just use B+ devices and make sure you had a good quality 5v supply. [14:20] <evil_dan2wik> just wondering if I could make it more efficient using existing hardware. [14:21] <gordonDrogon> sure, but it's obviously not working for you here. [14:21] <evil_dan2wik> gordonDrogon, I just changed to it. [14:21] <gordonDrogon> the only way you'll know for sure is withy a multimeter. [14:21] <gordonDrogon> ah, ok - the apple one is wokring OK then? [14:21] <evil_dan2wik> the other 5A one died. [14:21] <niston> maybe we could sell a kit "Raspberry Pi + Multimeter" ? [14:23] <evil_dan2wik> I have a meter, just not with me. [14:23] <gordonDrogon> right.back later. stuff to do! [14:24] <evil_dan2wik> seems like some corrosion upon closer inspection. [14:25] <evil_dan2wik> I wonder if my router's USB ports are switching or linear. [14:25] <evil_dan2wik> I could just power my Pis from that. [14:28] <evil_dan2wik> I should get one of those. [14:28] <niston> yeah they're fine. [14:28] <evil_dan2wik> not sure if my land lord will allow it though. [14:28] <niston> why shouldn't he? [14:29] <evil_dan2wik> I left a Pi out on the bench with a USB cable and an ethernet cord and he freaked out. [14:29] <evil_dan2wik> idk, He called me a terrorist and left. [14:42] <evil_dan2wik> just tried using a random 20cm ethernet cable I found and it wasn't working. All the wires go to random places on both ends. [14:45] <evil_dan2wik> niston, labelled cat6 ethernet and blue. [14:45] <niston> lies. all lies. [14:49] <evil_dan2wik> well, testing power supplies before I burn out my apple one. [15:16] <gordonDrogon> niston, the CM is configurable via jumpers for both banks. [15:17] <niston> "Because both regulators are linear regulators, and share about the same efficiency, and both get their power from the 3V3 regulator [...]"
[15:18] <gordonDrogon> niston, hang on - toy mean regulator 1, not the first gpio bank. let me check the schematics..
[15:18] <gordonDrogon> niston, ah, you're right - the 2.5 and 1.8v regs come off the 3.3v regulator. [15:19] <gordonDrogon> I thought they came off the 5v supply line. [15:19] <gordonDrogon> yes - less to drop. [15:19] <gordonDrogon> the b+ has a SMPS regulator to generate the 3.3v and 1.8v. Oddly enough not 2.5v that I can see. [15:21] <gordonDrogon> the 2.5v on the B seems to be used for the composite video. [15:22] <gordonDrogon> ah the 2.5v on the B+ is generated separately by a little linear regulator by the looks of it. [15:22] <gordonDrogon> off the 3.3v supply. [15:23] <niston> is the CM available now without the CMIO? [15:24] <gordonDrogon> that's the ultimate intention - you just use the IO board as a "reference" platform to test your own design on before comitting to build/design your own board. [15:24] <gordonDrogon> Not quite sure the have them as a separate item just yet. [15:25] <gordonDrogon> I think the "slice" kickstarter will be the first thing to bulk buy them, so I imagine they're waiting for that to kick off, but I really don't know what else is being made with them right now. I do think/suspect there are a few private projects that currently use Pi's who're moving to CMs. [15:26] <gordonDrogon> I don't have a product idea for them - yet. [15:27] <gordonDrogon> you can probably test most of it on a B+. [15:27] <gordonDrogon> depending on the gpio requirements. [15:28] <gordonDrogon> I bought a CM + IO board just to test wiringPi, but I'm going to use it to put 2 cameras on to view my garden. [15:29] <gordonDrogon> if I have the time & ability, I'll make a pan/tilt mount for it so I can look up the river or the gaden. (small river at the bottom of the garden). it will have an Noir and the regular camera on as well as a raft of both IR and visible white LEds. [15:32] <gordonDrogon> how big is the project? [15:32] <Da|Mummy> my sandisk 64gb usb3 drive wont load on openelec on rpi, is there something simple im missing here? [15:33] <niston> Da|Mummy: you trying to boot off the usb drive? [15:34] <gordonDrogon> I just don't use Windows at all. I have absolutely no use for it whatsoever. [15:35] <gordonDrogon> I've had one job where I had to use windows + VS. Ended up hating it, vowing never to go back. [15:35] <Da|Mummy> niston, no idea? [15:35] <niston> Da|Mummy: nope, sorry. [15:36] <gordonDrogon> http://www.dartcom.co.uk/webcam is not that far from me. [15:45] <RaMcHiP> Has anyone got a fully functioning retropie setup? [15:53] <niston> that "undefined reference to symbol 'clock_gettime@@GLIBC_2.4'"
[15:54] <niston> maybe this helps? [15:54] <RaMcHiP> Thanks niston - I will check that out! [15:57] <RaMcHiP> so I can do make -lrt? [15:58] <MY123> RaMcHiP: make CFLAGS+="-lrt"
[15:59] <RaMcHiP> MY123, Thanks a million! [16:02] <RaMcHiP> if I dont get any errors and it returns to CLI that means it worked right? [16:05] <RaMcHiP> that should work with pisnes as well! [16:08] <niston> you sure you are running the recompiled library? [16:08] <MY123> RaMcHiP: make LDFLAGS+="-lrt"
[16:40] <AngryAlien> dont miss the offer. [16:40] <AngryAlien> but wait. i have more for you. Use coupon code I LOVE DIYGADGET to save 10% off your order! [16:40] <AngryAlien> for 49.49 $US you get Banana Pi shipped to your door. you save 10.5 $US. [16:49] <SpeedEvil> What particular arguments have you for it being 'low quality' ? [16:52] <SpeedEvil> Were you relying on the SATA port to support the cable? [17:15] <nashi> has anyone found a good deal on a model A or B cheap? [17:18] <niston> raspberry pi model A is the new bitcoin. [17:19] <nashi> I wouldnt call a raspi A a commodity personally. [17:21] <nashi> even more crap to remove :/ and more cost. [17:21] <niston> just use a CM? [17:24] <CoJaBo> The CM pretty much defeats the point of the pi anyway lol.. how much is it per-unit? [17:24] <niston> CoJaBo: why defeats the point? I wouldn't agree. [17:27] <mikroskeem> Anyone tried to get mtd working under rpi? [17:27] <nashi> and being all you need is a couple of regulators and ports or pinouts and a ddr2 sodimm part, thats not bad. [17:28] <niston> the sodimm sockets are not cheap though. [17:28] <niston> got a link? [17:29] <niston> yup, there are even more powerful sodimm modules. its called SoM, afaik. [17:30] <nashi> that IS an option. [17:31] <nashi> how would it be expensive? [17:32] <niston> well the CM clearly targets the embedded market, and the question is justified: how is adding a linux computer to your embedded project for a presumed $20 considered expensive? [17:33] <SpeedEvil> niston: Because $20 is expensive when you look at all the costs. [17:33] <nashi> SpeedEvil, not if you use some cheap parts and dont need hardly anything broken out, just the minimal. it all depends on what you need. [17:34] <SpeedEvil> niston: The cost of redesign can be really quite high. [17:41] <nashi> oblomov, west coast usa. oregon. [17:41] <oblomov> ah, right. nvm then. [17:55] <AngryAlien> wow. swag.rpi is real cheap. [18:02] <oblomov> do they have a breakdown of shipping costs anywhere? or do i have to suffer through the form? [18:16] <MY123> oblomov: Is there customs fees for your country? [18:28] <niston> how do I change the default sound device? [18:28] <`Nef> any remedy to the fact that repository.wolfram.com:80 is down? [18:32] <MY123> niston: Yes. Do you use an USB sound card? [18:35] <niston> and everywhere it says "Default Audio Device" lol wtf? [18:36] <niston> I think I need something like "options <bcm device string here> index = 1"
[18:39] <CoJaBo> justaguy: I'm trying to do one of those now, actually..
[18:42] <justaguy> connect to fake wifi and ssh to your pi? [19:18] <ShorTie> CoJaBo, you mean the pi reboots ?? [19:29] <abnormal> ok, anyone doing anything stupid today??? [19:31] <gordonDrogon> stupid? dunno about that, but just had a relaxing afternoon in the garden, having a BBQ, etc..
[19:50] <gordonDrogon> just install Linux on it. [20:03] <theRealGent> hi all. openelec vs raspbmc. thoughts? and also, best remote? [20:10] <niston> how was the BBQ? [20:13] <theRealGent> Can the PI really run 1080 with no stuttering? [20:19] <theRealGent> but how about those codec unlocks you need to buy? [20:21] <shiftplusone> `Nef, so real interest, but plenty of spam. [20:21] <`Nef> oh, you got spam here? [20:21] <shiftplusone> Nope, but they did try to use the forum to advertise their product. [20:22] <`Nef> I think I came across a couple of posts. [20:23] <niston> on the banana? [20:23] <`Nef> gjm, can you benchmark file read/write speeds with a hdd/ssd if you have one lying around? [20:23] <niston> is it "native" or does it run by USB? [20:24] <gordonDrogon> The Pi, as a tool to further education is perfect. As a more general purpose computer, there are areas were its less so... but for the price? [20:24] <`Nef> gordonDrogon, I knew someone would pull up that point. [20:24] <gordonDrogon> can't have everything. [20:24] <gjm> `Nef: one second. [20:24] <`Nef> I just expressed an interest in the *extra* features. [20:25] <`Nef> wait, spam as in repeated advertising, or floods? [20:26] <niston> btw is someone making a "breakout" board for the CM? [20:26] <niston> perhaps with regulator onboard and lots of soldering pads for the diverse signals? [20:26] <gordonDrogon> isn't the CM IO board already a breakout board? [20:26] <shiftplusone> niston, I've seen a thread on the forum where someone made them. [20:26] <niston> it costs $192 ! [20:26] <shiftplusone> niston, unfortunately, James Adams took one glance at it and said it's badly designed. [20:27] <shiftplusone> niston, I think power was the thing he pointed to straight away. Then sure enough, the guy posted saying that he's having trouble with booting them up. [20:29] <gordonDrogon> SD's half the speed, sata double. [20:29] <gjm> It's 4 class card. [20:29] <`Nef> gjm, thanks a lot! [20:29] <gjm> I have / on HDD. [20:29] <gordonDrogon> niston, what doesn't the CMIO board give you? [20:30] <gordonDrogon> so what would you have on your breakout board? [20:30] <theRealGent> why would you want to install something like couch potato or sickbeard on your PI? I mean, the amount of storage space you have on there is probably really small. How do you guys usually run your HTPC PIs? Do you have a home server NAS connected to it? [20:31] <shiftplusone> theRealGent, I don't use mine as an htpc, but if I did, I'd hook up and HDD to it. [20:31] <gordonDrogon> theRealGent, I don't use mine as HTPC, but if I did, I'd use NFS to a server. [20:32] <`Nef> does IT_Sean visit often? [20:32] <niston> basically everything you wont use when its built into some other device. [20:34] <shiftplusone> niston, so you'd basically make an expensive model a? [20:34] <`Nef> "but that's not what it was meant for"
[20:35] <niston> but what about the hobbyist? what about prototyping? [20:35] <niston> I think such breakout would sell fine - if it worked properly, that is! [20:35] <shiftplusone> niston, yeah, a good example of a CM-based product is the SLICE. They only have the connectors they need. [20:36] <shiftplusone> but still.... the CM is kind of expensive if you only add a power supply and a USB/NIC chip. [20:36] <theRealGent> do you guys recommend some heatsinks if you’re overclocking your PI a little? [20:38] <`Nef> gjm, where did you get it shipped from? [20:39] <`Nef> does it void the warranty? [20:43] <theRealGent> so you guys OC with no heatsinks? [20:43] <theRealGent> not concerned about lower product life? [20:44] <abnormal> no, the chips are made to get hot... if you don't overclock it, then it is safe the way it is..
[20:45] <shiftplusone> theRealGent, again, the heatsink would not help. [20:45] <shiftplusone> and if the chip's life is in any way reduced, it will be long after you care about it. [20:46] <shiftplusone> and note that you won't get it even to 85, unless you go out of your way to. [20:51] <theRealGent> what is temp_limit? It’s saying if it ever reaches that temp, the warranty is voided? [20:52] <shiftplusone> so if you set it to over 85 AND overvolt, that will set the warranty void bit. [21:13] <Mr_Sheesh> How would you read that warranty void bit, to verify that a used RPi didn't have the warranty voided ? [21:18] <gordonDrogon> if it's a 4-digit number then you're fine. if it is > 1000000 then it's wattany voided. [21:20] <theRealGent> thanks shiftplusone. That explains a lot to me :) what is current_limit override though? [21:21] <theRealGent> do I need to set that to OC? So it seems like I can ramp up the voltage and clock all I like as long as I dont touch the max temp, force_turbo, and ovverride? [21:31] <theRealGent> also, does anyone know if there is a certain class of SD card that doesnt yield benefits to the pi due to usb bus limitations? If I buy the highest class SD card, can I utilize the performance gains? [21:32] <gordonDrogon> I like class 6's - I have one c10, but it's no faster than the c6. [21:35] <theRealGent> The one hesitation i have with the NOOBS card is that it’s vouched for by the pi foundation, and is preloaded with OS’s. So I feel like I’ll end up paying a premium just for this, when in reality I will end up formatting it anyways. [21:36] <theRealGent> And I also read the classes only refer to write speeds? So I see why that’s important for something like a DSLR. But I’m mainly concerned about read speeds for boot up time, and XBMC operation. [21:40] <gordonDrogon> theRealGent, it's one of the cheapest ways I know to get a good quality SD card. [21:41] <gordonDrogon> I bought a bunch a while back and just reflashed with direclty with Raspbian. [21:41] <gordonDrogon> theRealGent, read speed is going to be about 20MB/sec. [21:58] <gordonDrogon> chris_99, I've a funny feeling it might be. [22:02] <theRealGent> anyone currently using an ac usb wifi adapter with their pi? [22:04] <theRealGent> shiftplusone: but it was successfully working on your rasp linux system? Could you give me the model or chipset of the adapter? [22:11] <shiftplusone> probably too much stuff bouncing around messing things up, but most others worked fine. [22:19] <theRealGent> Damn that’s a good price. [22:33] <`Nef> You've got quite a good memory, shiftplusone. [22:35] <`Nef> Did you ever get more into python? [22:35] <shiftplusone> Nuh, python just isn't my thing. [22:35] <shiftplusone> I went to the linux kernel side of things. [22:35] <`Nef> It's C you like, isn't it? [22:37] <theRealGent> I can’t imagine “liking C"
[22:39] <shiftplusone> I like programming and C gets me nice and close to the hardware, so what's not to like? [22:42] <shiftplusone> I'd use python for web development and such though. [22:43] <`Nef> Nice, anyone recommend it to you? [22:50] <`Nef> Besides, any fixes for the lack of repository.wolfram.com being down? [22:55] <toresbe> Hey, I've got a question regarding the VideoCore. Is it possible to insert video in lines above #23? [22:56] <gordonDrogon> I ran a MUD once. It stayed up for about 22 years. [22:59] <evil_dan2wik> Don't play in the mud. [23:00] <gordonDrogon> yea. It crashed a few months ago and I never bothered restarting it. [23:09] <[Saint]> One of the things I would've thought dies out looooooong ago. [23:09] <toresbe> I used to work at a big license broadcaster. Teletext was still in use. People remember "their" page, and you can't beat the access time when you do. [23:10] <[Saint]> We still have teletext here, but, its all digital...and encrypted, so the spirit kinda left the building I think. [23:10] <toresbe> shiftplusone: I don't know if you know what Teletext is? [23:11] <toresbe> well, that's encoded in the lines of video that are "above" your CRT, typically lines 7-12 or something like that. [23:11] <shiftplusone> Not the specifics of how it works, but yeah. [23:11] <shiftplusone> toresbe, will you be on tomorrow? [23:11] <shiftplusone> k, I'll ask someone in the office. [23:12] <evil_dan2wik> why does my Pi think there is no network connection? [23:12] <[Saint]> not sure that's what you're looking for though. [23:12] <evil_dan2wik> The lights are flashing and I cant SSH to it but it has no internet. [23:12] <[Saint]> evil_dan2wik: just a guess...but, maybe because it can't establish a network connection? [23:12] <toresbe> well, just a way to make what my TV sees as PAL video line 7-14 or thereabouts, possible to write to. [23:12] <evil_dan2wik> [Saint], except I can SSH to it. [23:13] <toresbe> If I disable overscan totally, then maybe, maybe that might work. [23:13] <[Saint]> SO, you mispoke. [23:13] <[Saint]> It *can* access the network. [23:13] <[Saint]> But not the outside world, I gather? [23:13] <evil_dan2wik> yeah, I meant internet. [23:13] <evil_dan2wik> It comes back with no route to host on most things. [23:15] <evil_dan2wik> I have 2 routers that the Pi goes through. [23:15] <toresbe> What is the OS of your other computer? [23:15] <toresbe> well, then it's the first router - you can figure it out from there. [23:15] <toresbe> If it's Windows, then tracert google.com and see what the first hop on the route is; that's your gateway. [23:16] <[Saint]> Why...why oh why...did they not stack the ports. [23:16] <toresbe> shiftplusone: oh, you work with the Pi? [23:17] <shiftplusone> toresbe, yeah, I work at pihq. [23:17] <toresbe> shiftplusone: oh, neato. [23:17] <shiftplusone> [Saint], do you have a link to what you're talking about? [23:19] <[Saint]> shiftplusone: what's your view on the form factor? [23:19] <shiftplusone> what do you think? [23:20] <shiftplusone> the thing I tested had the same chip, but didn't look like that. [23:20] <toresbe> evil_dan2wik: you mean not enough ethernet plugs? [23:20] <[Saint]> Not if you're broke. [23:20] <evil_dan2wik> no idea what that is. [23:20] <[Saint]> If you buy a cheap switch, you'll pay for it for all eternity. [23:21] <[Saint]> No end of woe. [23:21] <toresbe> if you're broke then you either do what I do, find one in a dumpster :) - or you can just disable the DHCP server on your second router and use that as a switch, but it's really no biggie. [23:21] <shiftplusone> I guess they figured you've got three ports on it, so a triangular shape makes sense, but yea... that's not something the engineers would've done. [23:21] <[Saint]> evil_dan2wik: in simplest terms, a network switch is a "router make more ports thingy"
[23:22] <evil_dan2wik> can I use the current router as a switch then? [23:22] <[Saint]> shiftplusone: so I take it the hardware you were working with was functionally identical but aesthetically rather different? [23:23] <toresbe> A router actively inspects the traffic. A masquerading router (one that does NAT) does some fairly comprehensive looking into the traffic. That costs you a few milliseconds, which can be problematic for online gaming. [23:23] <[Saint]> /some/ consumer routers have a dedicated switch mode. [23:23] <toresbe> A packet from here to Sweden will spend most of its time between my desktop and my router. [23:23] <[Saint]> Very few, though. [23:24] <evil_dan2wik> The internet router has 4 ports but the way it works is it uses 1 of the ports as either internet in or ethernet out. [23:24] <[Saint]> a 64 port switch is only a few hundred bucks. [23:25] <[Saint]> Mine's rather a bit above consumer grade...but it wasn't /hugely/ expensive. [23:25] <evil_dan2wik> I don't have any money. [23:25] <[Saint]> I have a feeling my network is slightly larger, though. [23:26] <[Saint]> shiftplusone: did you get to play with their WICD Sense module? [23:26] <evil_dan2wik> The Pi is still getting no route to host. [23:27] <gordonDrogon> all good fun! [23:27] <evil_dan2wik> gordonDrogon, isn't that just a router? [23:28] * [Saint] uses a real machine as a firewall/router/NAT/NAS too. [23:28] <[Saint]> bunch of Gig-E cards in it. Old girl. [23:28] <gordonDrogon> evil_dan2wik, well it's does routing/traffic management/acts as a backup server, and does other stuff. [23:29] <gordonDrogon> so it's a router plus a bit more. [23:29] <[Saint]> "The new USB Wi-Fi adapter for Raspberry Pi sports two USB ports and 802.11 b/g/n support in a very low-power package. [23:29] <[Saint]> That last bit is a big selling point, since it frees up the Raspberry Pi’s computing power to do other nifty things." [23:29] <[Saint]> Who wrote that? [23:29] <evil_dan2wik> I still have no idea how to fix this. [23:29] <[Saint]> "low power" == "frees up computing power"? [23:30] <[Saint]> Gotta love marketing. [23:30] <[Saint]> Where the facts don't matter, and the points are completely made up. [23:30] <[Saint]> Oh, no, that's Who's Line. [23:30] <shiftplusone> I guess the marketing person was told that it's low power and that the dongle doesn't chew up the pi's processing power by doing decryption on-board and that's what came out. [23:31] <[Saint]> I would be _very_ impressed if it made an appreciable, or even measureable, difference. [23:33] <[Saint]> Hideous or no, if it did over 15dBm output power, I'd be interested. [23:33] <[Saint]> I'm pretty bloody certain I could get it kicking out some more juice. [23:40] <shiftplusone> [Saint], I'd not go out buying it just yet though. Wait until it's a product that has been out in the field a little. [23:40] <[Saint]> My current hardware is orders of magnitude greater I believe. [23:40] <[Saint]> I just wanted to play with their WICD Sense module. [23:44] <evil_dan2wik> How do I fix it? [23:44] <evil_dan2wik> I added the route to 192.169.1.1 and nothing. [23:53] <ringz> was it 168?